David Harbour plays the titular character in “Hellboy,” based on the comic book character created by Mike Mignola. Ian McShane, left, plays Hellboy’s adoptive father. 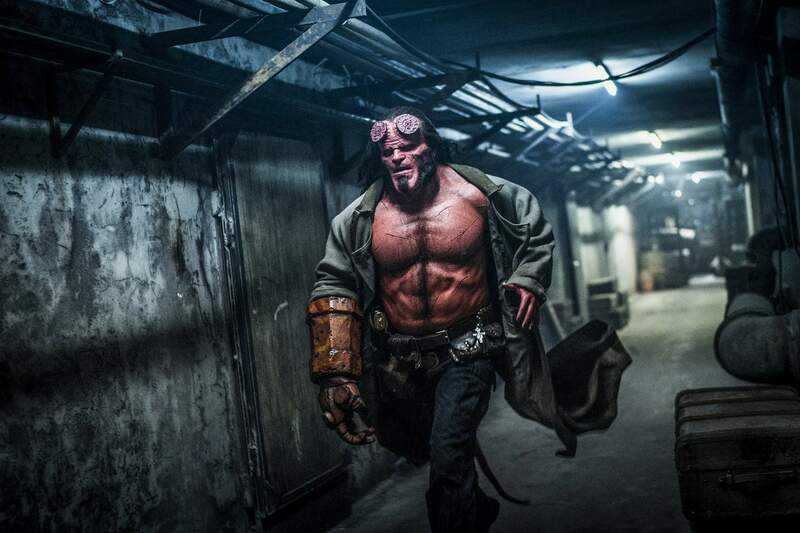 Sometimes, “more adult” does not mean “more mature.” That’s the central problem facing “Hellboy,” the reboot of the comic book character popularized in films by Guillermo del Toro. The original 2004 movie and its 2008 sequel were PG-13 affairs, with a focus on the demonic antihero’s lovable streak. Under the direction of Neil Marshall, a filmmaker with his own horror/fantasy bona fides, this Hellboy curses, eviscerates, flays and disembowels. Marshall and screenwriter Andrew Cosby went overboard with their R-rating, introducing so much gore and profanity that it, quite frankly, gets dull. The flat performances and incoherent story do not help matters. Created by Mike Mignola in 1993, Hellboy is a literal demon from hell who lives on Earth. As part of a paranormal government agency, he fights for the good guys, keeping other monsters from wreaking havoc. Ron Perlman played Hellboy in the del Toro films, and here David Harbour – best known as Chief Hopper from Netflix’s “Stranger Things” – takes over. The two actors look similar in their heavy makeup, complete with red skin and devil horns filed down to stumps, and they have similar evil plots to overturn. This time, Hellboy faces off against the Blood Queen (Milla Jovovich), a witch who wants revenge on humankind. Along his quest to defeat her, Hellboy uncovers a secret from his past (of course he does). Cosby hardly wavers from the typical comic book formula, right down to cheesy jokes and a final showdown. One way to overcome a dearth of memorable action is through memorable characters, but the film also fails on that front. As a literal demon on Earth, Hellboy is torn between humanity and the underworld, and Harbour cannot sell that anxiety. His dramatic scenes fall curiously flat, and his comic one-liners inspire little more than stony silence. 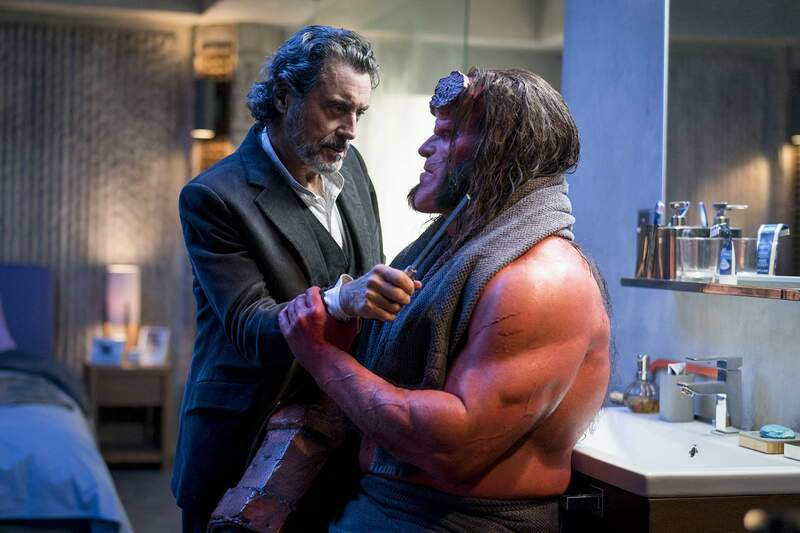 Unsurprisingly, the only actor who elevates the material is Ian McShane, who plays Hellboy’s adoptive father. His droll delivery suggests he is the only actor with any self-awareness, although he plays a similar character in the “John Wick” films with more wicked fun.